It’s near the end of the year, the time when we buy more and more … but that does not mean you have to spend more than you need. 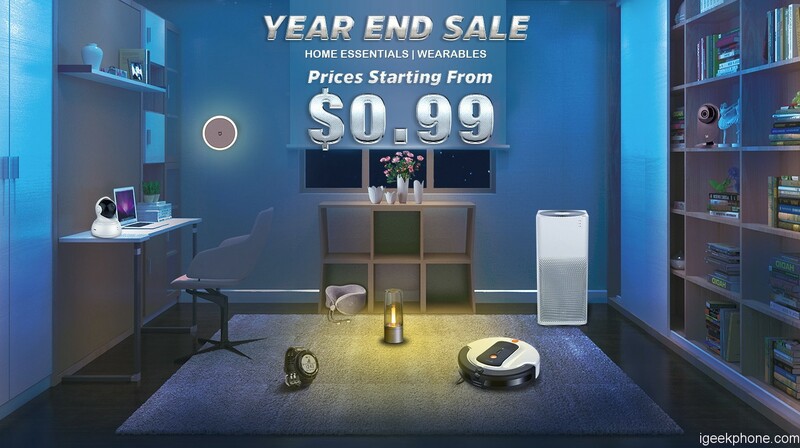 At the Year End Home Sale special promotion site at Geekbuying, prices range from $ 0.99. On this special promotion page at Geekbuying you will find a handful of home electronics that will make you feel right in your everyday life. The offer is very rich and, as usual, the products are compounded by very attractive categories. It has everybody – smart clocks and bracelets, smart sockets, LED lighting, various sensors, security systems and other equipment. 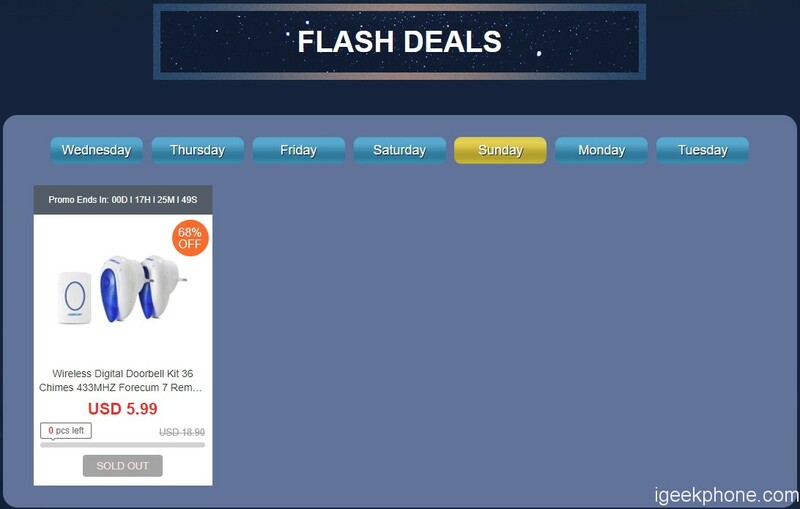 The first category is already common, which is Flash Deals. In it, you will find a handful of products whose prices are significantly reduced, but the quantities are limited. What’s new is that every day you have new products on the action you can see by sub-categories that carry the day of the day (Thursday, Friday). Carrying technology is something close to everyone and has become popular because of its very affordable price that is available to everyone. 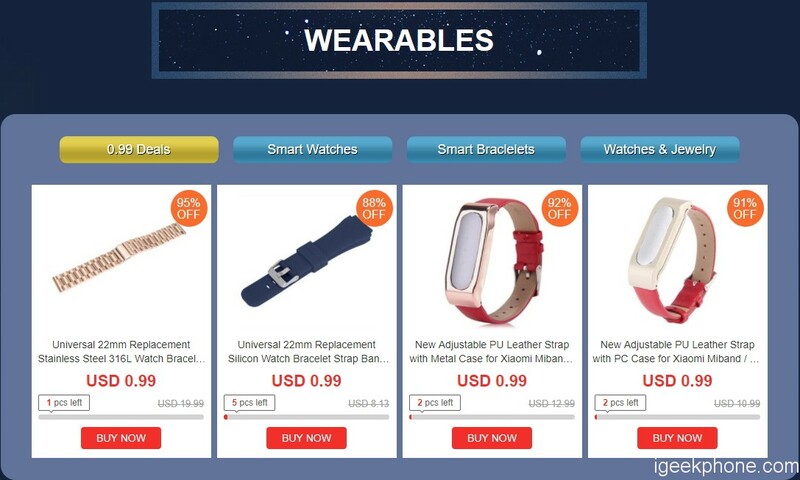 As far as we can see, prices range from $0.99, and the offer is subdivided into subcategories such as smart watches, smart bracelets, watches, and jewelry. All of this can be found on the same promotional page on Geekbuying. 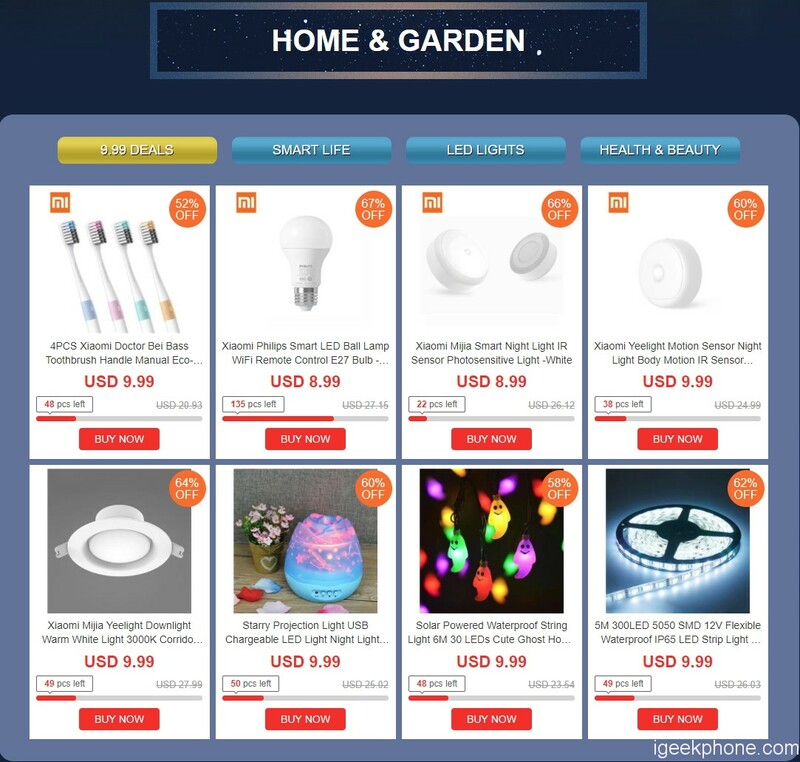 The category “Home & Garden” is clear on its own, in it, you’ll find a lot of home supplies and electronics that will make your life better on the one hand, and on the other hand, it will make it easy and refreshing. Robot cleaners, smart LED lighting and sockets, and even a clever toilet bowl are in this category. The security of your home is important, and you can upgrade and enhance it via the “Security Systems” section. 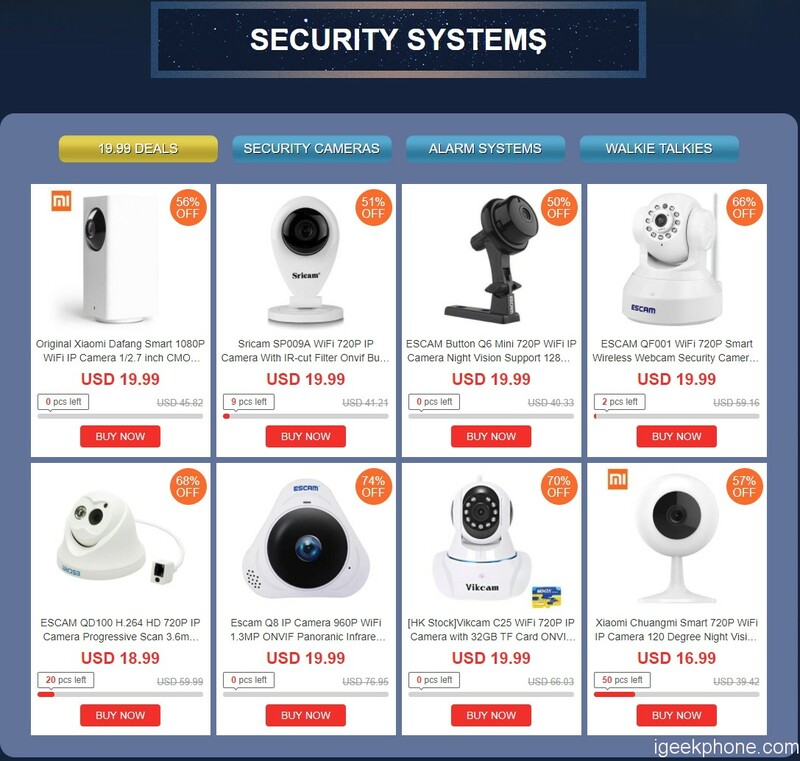 The offer is truly varied and rich, with various security cameras with a large price range of $17.99. 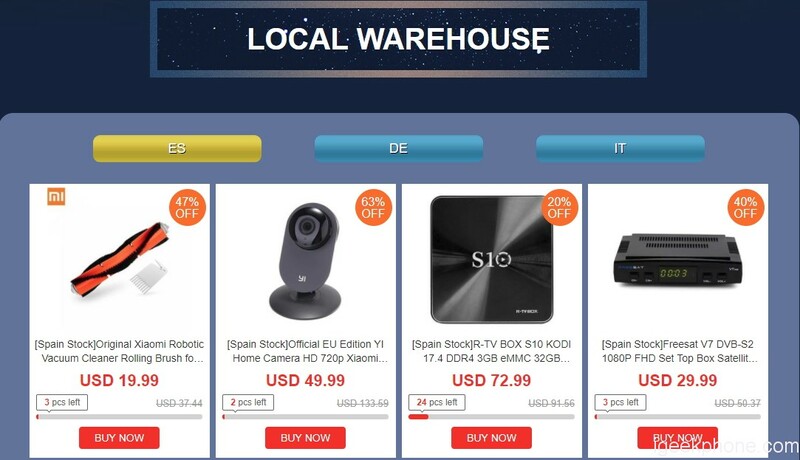 The last category concerns the European Union warehouses (Spain, Germany, and Italy), and there is an interesting offer. We will not go any further, have a look at the promotional page at Geekbuying, have something for everyone.